Hiring website designers is often seen as a fairly expensive service due to the skills and experience of the designers who know how to do the work. However, at XLWeb, we love what we do, and we do it well, that’s why we offer the very highest quality of work while keeping the price low and affordable. We have the most experience of any website designers around due to the fact that we’ve been around since 1996, when the internet first came around for public use. Every year we do more, learn more, and apply more, this coupled with the constant evolution of the internet means our website design skills and knowledge are ever-expanding all the time! Cheap website designers who know what they’re doing have to consider many factors when building a successful website for all the internet to see. At XLWeb, we tend to focus on two main elements in website design, appearance which includes fonts, images, layout, colours, widgets and more. And functionality which is the heart of a successful website design. Your viewers/customers might think your site is the most beautiful thing they’ve ever encountered in their lifetime, but if they can’t buy anything off it because of a lack of functionality, it’ll be pretty useless. As one of the leading cheap website designers around in Scotland today, balancing appearance with functionality comes naturally to us as perfectionists, you can rest easy knowing we’ve built many very successful websites in the past and have a very large repeat-client base. But hey, it’s not all gonna be our way, you’re a very influential part of the process! When working with some of Scotland’s finest cheap website designers, you’re a large part of and ultimately decide on what the website will do and how you want it to look, we’re here to advise you, to build the site and handle all the technical stuff, while also following your specifications to the dot. We know that website designers must have good communication with their clients at all times to make sure the client’s site is growing in the direction that it’s supposed to. That’s why we make sure we’re always available to chat with our clients and plan every step forward for the future of their website. Whatever direction our clients want to to take in their internet endeavour, we’re here to help and expertly facilitate the means by which a successful, professional and relevant website can be built. With extensive experience under our belts as one of Scotland’s best cheap website designers, we’ve built and maintained plenty of e-commerce centred sites. If you’re looking to start selling your product online, we can create an attractive and efficient way of making this a reality, making your product fly off the (virtual) shelves in no time at all! 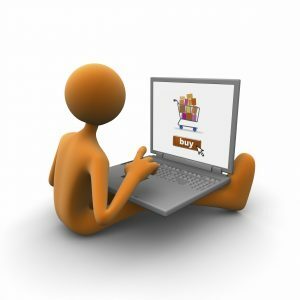 We have many nifty things we can add to the functionality of your e-commerce site, such as a catalogue of all your products so customers can view everything you have to offer, and an online basket so they can make their purchase. This is just the basics though, there’s much more like making sure payment details from Paypal and Credit Cards are totally secure, having quick and easy logins/registrations with no internal problems, XML feeds for Google Shopper, Amazon and Ebay, and much, much more. Having an efficient and good-looking e-commerce website built by XLWEB website design Glasgow will ensure sales numbers keep going up and up.